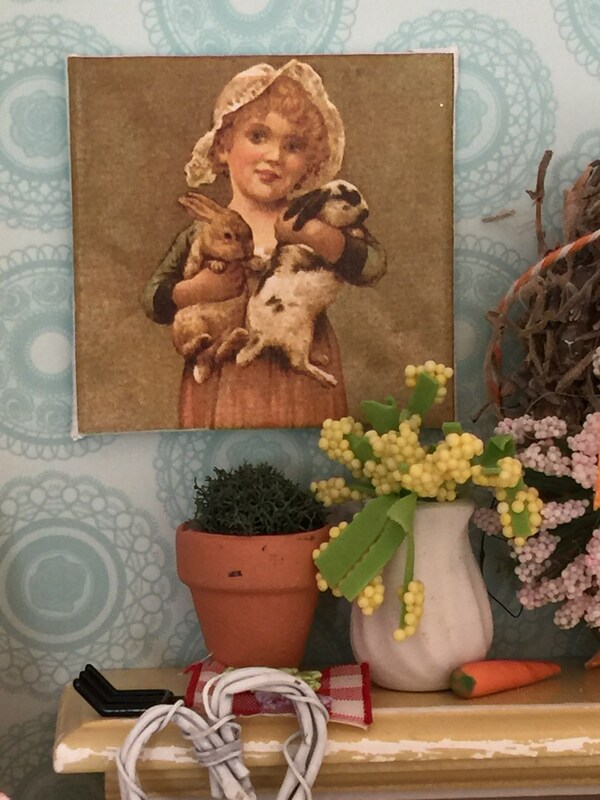 Vintage Girl and Bunnies Spring Canvas Art 2" x 2"
Vintage little girl holding 2 little bunnies. 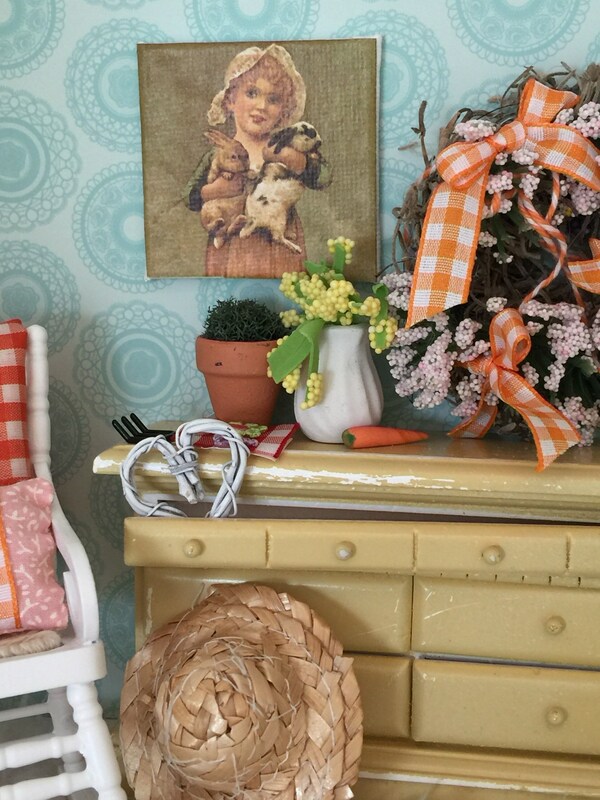 Rustic spring art is perfect for decorating a real room or a miniature room. 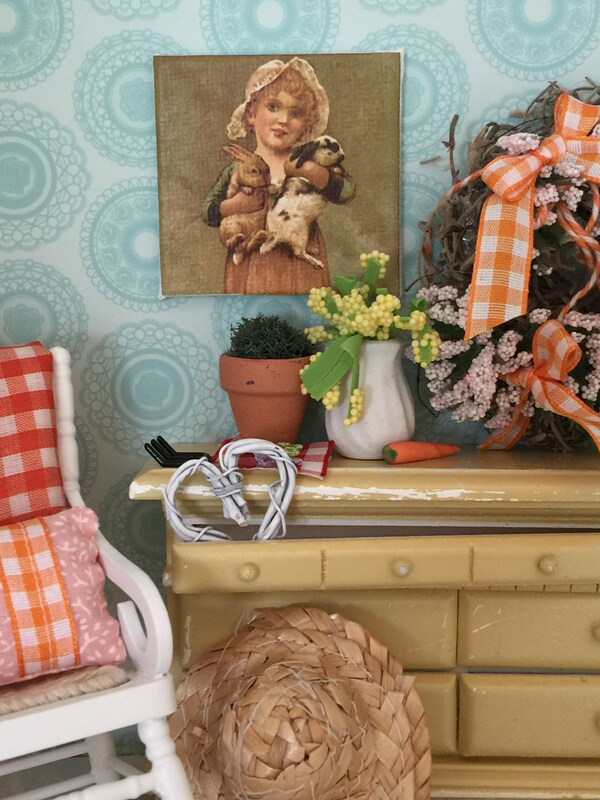 I use these little canvases on my shelves in little seasonal vignettes.